The Saturn Vue has been produced for nearly 10 years as a Saturn and GM partnership. The Vue was one of the first crossover SUV style vehicles that were produced. This crossover style appealed to both car and SUV buyers. The 2.2L Ecotec engine was part of the success that the Vue had with sales around the world. Our inventory is full of Saturn Vue 2.2L car engines for sale. We sell remanufactured and used Saturn engines so finding what you need is not a problem. Our used car and SUV engines offer one of the largest inventories you will find shopping for a motor online. We guarantee you won’t find a lower online price. There are usually 2 ways that you can buy an engine for your vehicle. The first is to go into a Saturn dealership and inquire about the price. The price that you will be offered will certainly surprise you and will probably offend you. It is not unusual for a brand new engine to cost more than a used Saturn Vue. 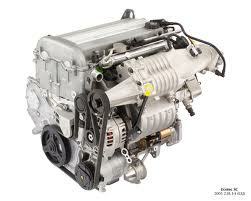 The second way is to purchase a used or remanufactured Saturn engine like what we sell. We feel this is the most viable option and one that will save you a lot of money on a full replacement. Our engines are tuned and calibrated to operate just like a new Vue engine. The difference is about 80% of the price. A used engine will always perform like a new engine unless someone tests it. Testing is what can determine if something is seriously wrong with the operation. A visual inspection is just one part of our testing procedures. After our 30-point inspection process has been completed, we move onto testing with a computer. What we cannot see will be brought to light with this digital testing. We can often verify the accuracy of the odometer reading and if fuel or oil leaks are happening. Things like dry rot and rust issues are hard to locate without digital testing equipment. This is the process we use for our used engines. Our remanufactured engines go a step further. We actually replace many of the parts that need replacement. What you get when we are finished is a totally rebuilt engine ready for a quick drop in. We have helped power thousands of Saturn vehicles and we can help you with yours. Our prices are cheap but our quality is excellent. We know how to select an engine, test it accurately and professionally prepare it for sale. Our goal is to get you to buy your engines from us for life. We have a unique quote system here at www.carenginesforsale.com. Get your quote by phone when you call 1-877-630-3873. It’s really fast. Get your quote emailed by completing our Saturn quote form on this page. It’s equally fast. We do two things for you. The first is that we give you the lowest price. The second is that we give you a shipping quote. You won’t be surprised by anything because we are very honest and upfront. We save our customers money.